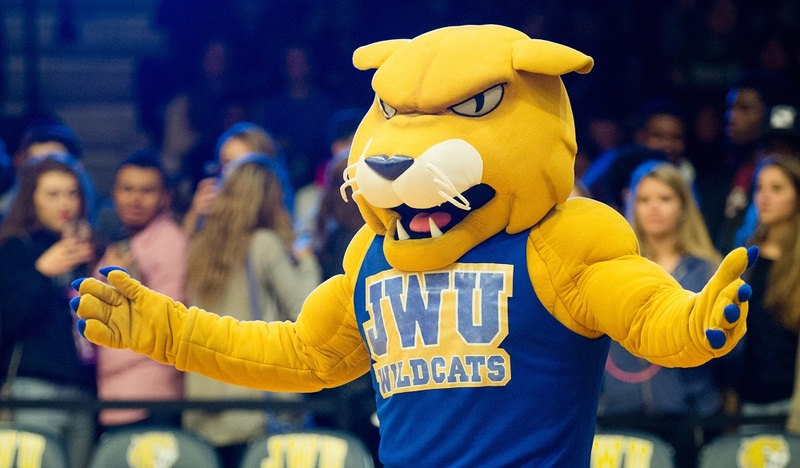 You're at JWU to build a career - and what makes JWU stand out is our range of career connections, resources and opportunities. Harness the power of your network to uncover insights such as whom you know at a company, providing you an edge in your job search. Leverage the world’s largest professional network to build relationships and connect with opportunity. Ssearch for jobs posted on thousands of sites as well as jobs posted directly by employers. You can set up daily emails with jobs that match your search. Ccreate a free account and search for local RI internships courtesy of the RI Student Loan Authority and the Greater Providence Chamber of Commerce. One of the oldest job search sites, with millions of job postings and hundreds of thousands of employers on the hunt for potential employees. Managed by the Rhode Island Department of Labor and Training. Good for searching local internships. Access cultural advice, traveling tips, and information on the cost of living abroad. Are you an international student interested in OPT or CPT? Use GoinGlobal to gain employment and H1B visa information and more. Get posted with the latest news from the companies and industries you’re interested in. Opportunities in the public interest and not for profit sectors. SEO Career is the nation’s premier pre-professional development and internship program providing Black, Hispanic, and Native American undergrads with coaching, training, and access to internships across multiple lines of business. SEO Career connects talented undergraduates with internship opportunities at more than 40 partner companies. 80% of recent SEO Career interns have received full time job offers from partner companies. Create a free account to browse or search for jobs. If you did not apply for a job or interview and are being emailed by an employer with a job offer this could be an indication that the job offer is fraudulent. Moreover, if the email is not coming from a company email address but a gmail, yahoo, aol etc. then this could potentially be a scam. If you have not applied to a job or had a phone/in-person interview with an employer they should not be asking you for personal information (for e.g. : home address) or financial information (for e.g. : bank account, check routing number). It is recommended that you do not include a photograph, date of birth, social security, and street address on your resume or reveal that to an employer via email. You could include just your city and state on your resume and reveal your street address during the interview process. If you are asked to make a payment this could potentially be a sign that the employer is fraudulent. NEVER supply bank account, social security number or credit card or date of birth information. If you unexpectedly receive a large check do not deposit it in your bank. Do not perform any monetary transactions as they could potentially be attempts to scam you. If an employer is only communicating with you via email and you cannot find the address, actual company name, and contact’s profile online this could potentially be a warning sign. Also if the employer contacts you by phone but there isn’t a way for you to call them back. If the employer claims that they are out of the country and need help in setting up their office in your area. They might claim they need help with errands such as making transactions for them. This is another sign that the job may be fraudulent. Google the employer/individual’s name with the word “scam”. If the job sounds too good to be true, it probably is (for e.g. : “no experience necessary” “earn money fast”). Wondering if a job posting is authentic? If you believe you have been contacted by an employer who appears to be fraudulent email EE&CS or IT. You've been offered a job. Are you are sure the position is a good fit for you? Do the organization’s business, as well as the tasks and responsibilities of the position, match your interests and beliefs? What is the working environment like? What is the “corporate culture” of the business? How is the organizational structure? Does your potential manager seem like someone you would get along with? What are the perks of this job, and how do they stack up to other offers? Read about the college to career transition and get other valuable information. Register for Career Management as a junior. Prepare for the transition from college to career, so you’re ahead of the competition during your internship and job search. Over a thousand companies worldwide love working with our students, so you have exclusive access to thousands of jobs and internships posted just for JWU students.